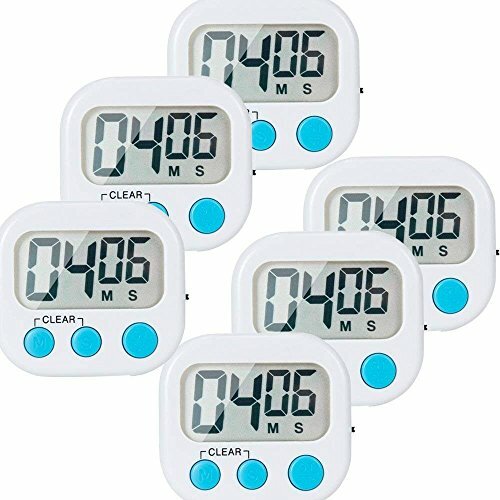 FUNCTION:99 minutes 59 seconds counting up/down digital magnetic kitchen timer with setting memory.Push and hold button over 3 seconds then the time will fast forward. LOUD ALARM: Features loud and clear but not deafening sound to be heard from another room,it continues 60 seconds if you don't press it. PLACEMENT: You can pull back the retractable stand to sit on any flat surface or use the magnet on the back to attach to a fridge door or Put it on the neck(use a rope). POWER SAVING MODE:Save the battery with ON/OFF Switch. (battery is not included). LARGE READOUT: Large Screen 2.2 x 1.18 inches. bold digits for easy readability from anywhere in the kitchen. If you have any questions about this product by LinkDm, contact us by completing and submitting the form below. If you are looking for a specif part number, please include it with your message.